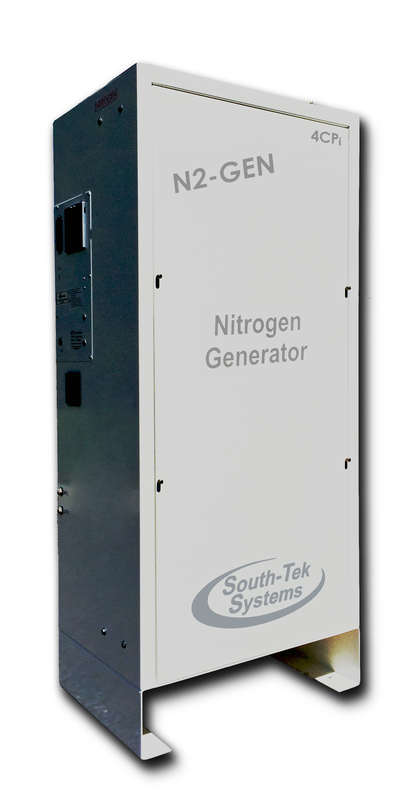 South-Tek Systems is the world’s leading designer and manufacturer of nitrogen generation technology. We are the only company in the market offering a true custom engineered system that meets the specific needs of our customer. Our systems are ideal for a vast range of applications including industrial, military, lab and commercial applications. 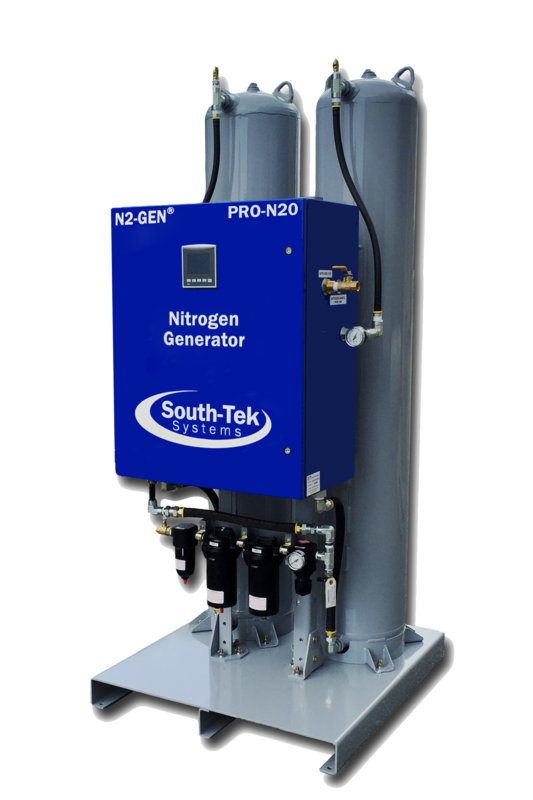 All of South-Tek Systems’ nitrogen generators are manufactured in Wilmington, NC and are an efficient and green solution to meeting nitrogen gas needs that can reduce gas costs by as much as 90%! 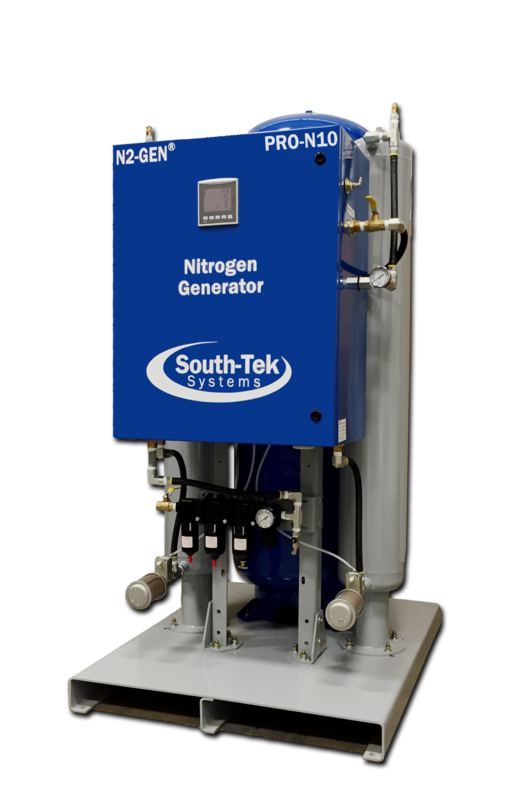 Generate your own nitrogen on demand with one of South-Tek Systems nitrogen generators. 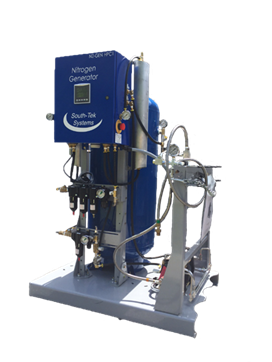 Skid Mounted Nitrogen PSA Systems, for applications with flow rates from 296 SCFH to unlimited capacities and Nitrogen purities from 95% to 99.9995%. Compact Skid Nitrogen PSA Systems, for applications with flow rates from 47 SCFH to 2,686 SCFH and Nitrogen purities from 95% to 99.9995%. Tank Mounted Nitrogen PSA Systems, for applications with flow rates from 2 SCFH to 1,074 SCFH and Nitrogen purities from 95% to 99.9995%. 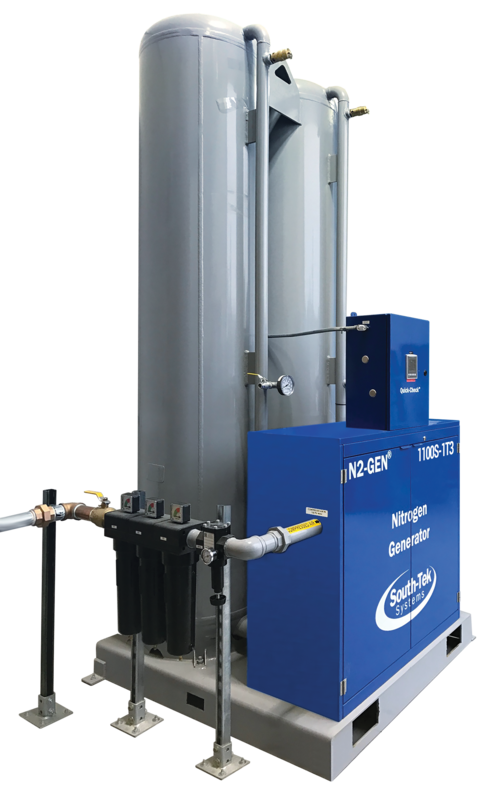 Compact Nitrogen membrane and PSA systems with built-in compressors, for applications with flow rates of .5 to 45 CFH.